Having funded the development of the first prosthetic arm that can function in a way close to the real thing, military researchers are now getting behind efforts to help it reach a wide number of users. The Defense Advanced Research Projects Agency has awarded a contract worth just less than $7 million to the robotic arm’s developer, DEKA Innovative Solutions Corp., that ultimately aims to improve the DEKA Arm System’s functions and ensure that the “system can accommodate the broadest user community possible,” according to the contract award announcement. DEKA—which is led by Segway inventor Dean Kamen—developed the arm over about eight years with $40 million in funding from DARPA, which started its Revolutionizing Prosthetics program in 2006 to assist service members who had lost limbs, particularly in the wars in Iraq and Afghanistan. The arm responds to muscle contractions and its wrist and fingers can perform six types of grips; the arm itself can perform 10 different movements. It’s been shown to be able to handle everything from a grape to a power tool. The Food and Drug Administration in May 2014 approved the arm—nicknamed Luke after Luke Skywalker—after its own tests showed that it allowed user to perform tasks they couldn’t with their current prosthetics, such as handling keys or preparing food. FDA also said the arm’s software and other components proved to be durable in various environmental conditions and capably protected against unintended movements. 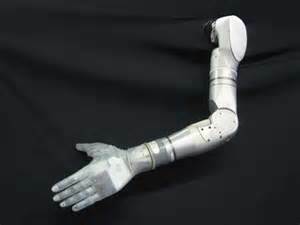 Under the new contract, DEKA and DARPA will work on improving the feel of the arm. 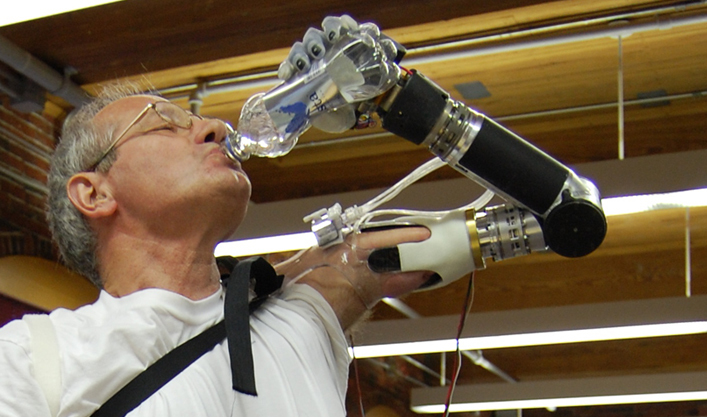 The company will train personnel in two DARPA programs—Hand Proprioception & Touch Interfaces (HAPTIX) and Revolutionizing Prosthetics Follow-on Studies (RPFS)—on setting up, using, maintaining and repairing the system. The HAPTIX program also will work on developing new technology for this “dexterous mechatronic prosthesis” to give amputees “the feel and function of natural limbs,” according to the award announcement. 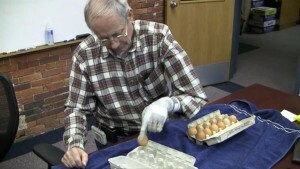 Adding a sense of touch to prosthetics has been a focus of the HAPTIX program. In February, DARPA awarded contracts for Phase 1 of the program, to research ideas for how existing and new technologies could be applied. HAPTIX will now seek to incorporate those technologies into the DEKA arm under the contract, which covers work over the next 57 months. Meanwhile, the RPFS program will give the FDA an approved variant of the arm system for further studies, which will including validating the criteria for prescribing the arm to patients, and to inform product and reimbursement code submissions to the Center for Medicaid and Medicare Services. The Decline of the Average Human I.Q.